Just when we thought Apple forgot about the Mac mini, the company swept us off our feet with a stunning return to form late last year, alongside the new MacBook Air. 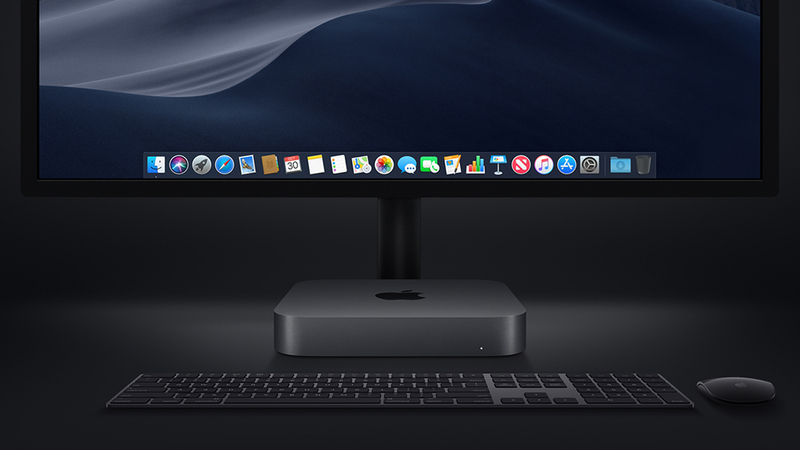 The new Mac mini was so impressive that we’re already eagerly anticipating a Mac mini 2019. Even at its base configuration, the Mac mini 2018 brings high performance, as it features desktop-class 8th-generation Intel Coffee Lake processors, so it’s able to keep up with intense workloads. The miniature Mac also has a ton of ports for connectivity and a decent thermalk architecture to keep temperatures under control. Of course, the new Mac mini is far from a perfect piece of hardware. The integrated graphics leave a lot to be desired, the SSD storage is the bare minimum and it’s not all that affordable – even if it is the cheapest Mac available. Just in case Apple does release a new Mac mini this year, we’ve whipped up a wish list. Check back for more updates as Mac Mini 2019 release date and price information starts to leak, if at all. It took Apple four years to release the 2018 update, so it’s hard to know if it will actually release a Mac mini 2019. In fact, we may have to wait until a new MacBook Air or Mac Pro refresh. Still, if a new Mac mini does release this year, it probably won’t happen until October, when it typically reveals new Mac releases. At least that’s how it played out last year, when the company broke the news of the Mac Mini 2018 at the Apple Event in late October, with the mini desktop hitting the shelves a few days later in November. Again, whether Apple will release a 2019 Mac Mini model is still speculation at this point, but we’ll update this story once we hear anything more concrete. Keep your eyes peeled. At the moment, the Mac Mini 2018 has two configurations: the $799 base configuration, which has a Core i3 processor, 8GB DDR4 RAM, a UHD Graphics 630 integrated graphics and a 128GB SSD; and the $1099 “high-end” configuration, which boasts a Core i5 processor a 256GB SSD, and the same integrated graphics and RAM. 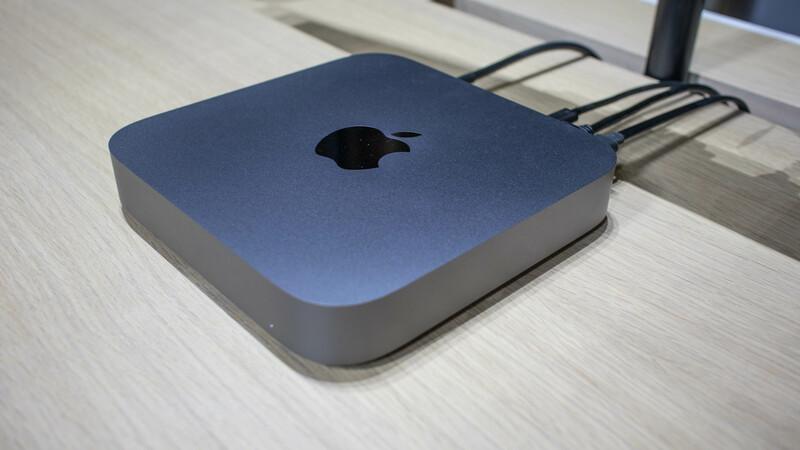 With its two configurations, the Mac Mini 2018 has been dubbed the “cheapest” Mac on the market, and we definitely want to see the same prices on the 2019 update. Unless Apple has some big, expensive feature it plans to add – e.g. the MacBook Pro and its wonky Touch Bar – we expect the prices to stay in the same ballpark. Although if Apple were to upgrade the storage, something that may not be entirely necessary considering most creatives (its target users) have their own heavy-duty external drives anyway, the price might go up a little. Again, while the Mac Mini 2018 has been largely well-received due to its superior performance packed in a compact form factor, it does still leave some things to be desired. If Apple’s tiny computer does get its update this year, there are a couple of things we’d like to see improved and added new. When the Mac Mini first released, it was priced at $499 and supposed to compete with PCs as an affordable entry into the Apple ecosystem. Though the Mac Mini is five times faster than its predecessor and is still the cheapest Mac around, at $799 it’s still more expensive than comparable PC desktops. Plus, you still have to shell out for a monitor, a keyboard and a mouse, at the very least, which essentially puts you at almost the same price as an iMac ($1,099) with more storage space to start. The Mac Mini 2018 may boast incredible performance, but its price point is nowhere near competitive. We’d love to see the same level of performance and a much affordable price if the computer does get an update this year. While the Mac Mini’s target market is creatives, most of whom may already own one or two external hard drives to keep up with their storage demands, paying $799 for a base configuration with only 128GB of SSD storage feels pretty steep. These days, that is the bare minimum for desktops, and is hardly enough for storing a handful of apps and software, let alone big files, like images and videos. At least 256GB of space to start is essential for a would-be 2019 model. One of the main complaints about the Mac Mini is the fact that its integrated graphics are underwhelming in just about every graphics-intensive application, whether you’re streaming and rendering videos or gaming. Dropped frames, low frame rates and slow video rendering are some of the reported symptoms. Considering that many of its users handle graphics-heavy files and work, that’s not a good sign. Some folks have resorted to adding an external GPU to their setups, but that only adds to the cost and defeats the computer’s purpose. So we’d love to see Apple step up its game, and improve the Mac Mini Intel Iris integrated graphics or even a discrete GPU inside. Perhaps something similar to what the MacBook Pros have, which are considerably better. While the Mac Mini has an improved thermal architecture, some units experience thermal throttling and overheating, at times peaking at over 90 degrees Fahrenheit, according to end users. It’s become such an issue, in fact, that some have replaced the thermal paste with third-party stuff just to keep the heat down, though not by much. Separating the built-in power supply could be an effective way to manage this heat problem, resulting in an even better performance and possibly a smaller form factor (or enough space for a dedicated graphics card). The earliest Mac Mini models were known for their upgradability, but this latest generation has very limited user upgrade options. Before, you could update the CPU, RAM and storage to your heart’s content; now, however, only the RAM is upgradable; and it’s hardly an easy undertaking. The CPU, RAM and storage in the Mac Mini 2018 may be upgraded when you’re in the process of ordering them, maxing the price out at $3,999, but Apple’s doing it for you and it can get expensive quickly. We’d like to see Apple bring back the old generation’s user upgradability in the Mac Mini 2019, especially if the computer largely sticks to the same specs. This is more of an afterthought, but the Mac Mini 2018’s speaker is considered poor by some critics. Though a headphone jack is on hand so you can attach better speakers, it would be a welcome update to give the 2019 model a better speaker – or remove it entirely for an even smaller form factor.